Fantabulous Cricut Challenge is having a 'Fun with Puns' challenge this week. 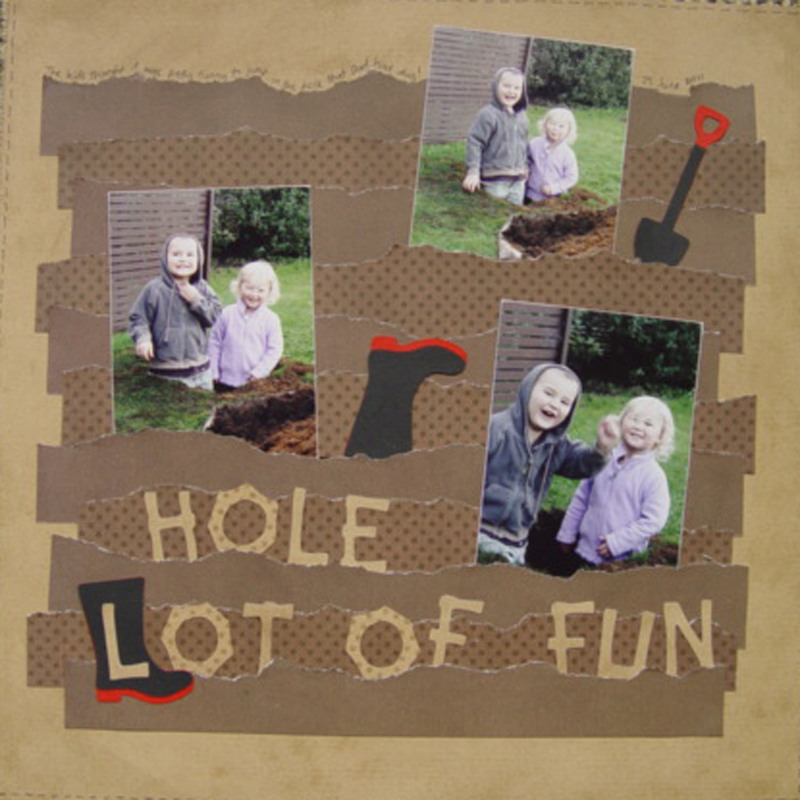 Here is my pun layout "Hole lot of Fun". My kids thought it was pretty funny to jump in the hole that dad was digging to plant our orange tree in! Title cut using Cricut cartridge 'Lifes a Beach', gumboots from 'Paisley' and spade from 'Everyday paper Dolls' (I think...). I ripped brown paper and layered them so it looked like the photos were stuck in the dirt. What a fabulous layout! Super memory to scrap, and I love what you did with the ripped papers!! Hi! I just wanted to let you know that I will be featuring your layout on this week's Scrappin Saturday --Fantabulous Cricut post. THIS IS JUST A GREAT LAYOUT! congrats on your layout being featured this Saturday! Also thank you for joining us over at FCCB! Great layout! I love the papers and the natural look they have to compliment the photos! So super cute!! !